Is your system/laptop showing DirectX Error after Updating to Windows 10 Creators Update? If “YES” then don’t worry and simply follow/apply the given solutions in order to get rid of DirectX errors. DirectX errors in Windows 10 system is very common, I wrote a blog on the same issue- “Tricks to Fix DirectX Errors after upgrading to Windows 10” in 2016. So, if you are getting DirectX errors after upgrading to Windows 10 then you can visit the above-mentioned blog. But the system is showing DirectX error after Creators update then below given fixes will help you to get rid of this issue. In Windows 10 systems DirectX is responsible to run the multimedia applications with ease in order to provide the great experience to the users. It is one of the necessary parts of Windows 10 and all the multimedia applications rely on it to execute without any error. 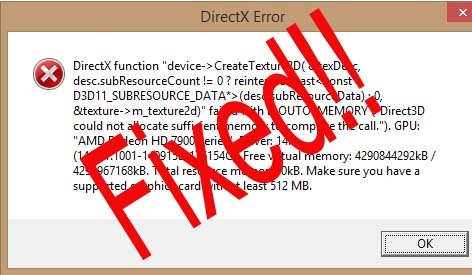 Once DirectX gets damaged due to any internal or external issue then from that time whenever you try to run and multimedia app like the game then the computer will throw a DirectX error. If you are suffering from this type of situation then you need to repair DirectX with the below-given tricks. Simply apply the below given troubleshoot carefully and Fix DirectX Failure Errors. How to Repair DirectX errors after updating to Windows 10 Creators update? After installing Creators update sometime due to incapability user may face DirectX errors. Updating to the latest Windows 10 update may create an incompatibility issue between some of the installed applications and current DirectX. Note: After clicking on the “Download”, some other recommended downloads will also appear uncheck them if you don’t want them. After the completion of installation, restart PC/Laptop and verify that the DirectX errors are fixed or not. Sometime when the file of Visual C++ Redistributables gets misplaced then DirectX errors may appear. So, it is recommended to download and install the latest package of Visual C++ Redistributables and check whether the issue is fixed or not. You should visit the Microsoft’s official link “https://support.microsoft.com/en-in/help/2977003/the-latest-supported-visual-c-downloads” in order to download the Visual C++ Redistributables software according to your PC requirement. Corrupt or outdated or incompatible graphics card driver can also generate Windows 10 DirectX Failure. If you want to fix this issue then reinstall the graphic card drivers. 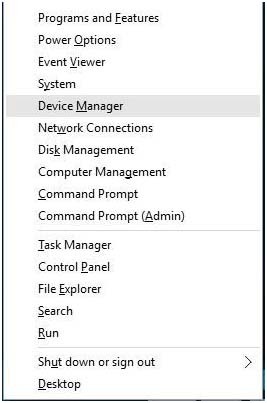 Open device manager by pressing Windows Key + X and picking Device Manager. After opening Device Manager, go to the Display Adapters section and find your graphic card driver. 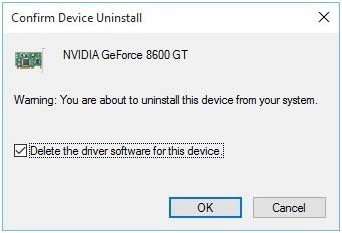 Click on the small box parallel to the “Delete the driver software for this device” and click on the OK button to uninstall the driver software for this device and click OK.
After removing the graphics driver restart your computer. After rebooting your computer, now you need to download a fresh graphics card driver from the manufacturer’s website. Visit your graphics card manufacturer and download the driver for your graphics card. Note: If you are unable to find and download the appropriate graphics driver for your computer then you can also use a professional driver updater tool. This software will allow you to update all the faulty device drivers with ease. This automatic tool is 100% safe and able to download updated drivers on your PC. Misplaced or corrupt DLL file can also affect the DirectX and prevent them from running any multimedia tool smoothly. This situation generally appears when you updated your system with the available update. If you want to find the faulty DLL file and fix them manually then it is very difficult as your system is not giving any DLL errors. To deal with this situation a DLL Repair Tool is recommended, this repair tool is specially designed to fix all the DLL files present on any Windows system. It will automatically detect and repair the faulty DLL files, simply download, install and run this repair tool and repair DirectX Errors after upgrading to Creators Update. That’s all, all the above-discussed solutions are effective and easy to apply. With the help of them, one can easily overcome DirectX errors after updating to Windows 10 Creators update. For any other query or if you have any additional fixes on how to delete DirectX Errors after Windows 10 Creators update, then kindly reach to our Frequently Asked Question section.